Cypress spurge (Euphorbia cyparissias): growing, planting, caring. A cute - but vigorous - perennial. Can be used as a groundcover. 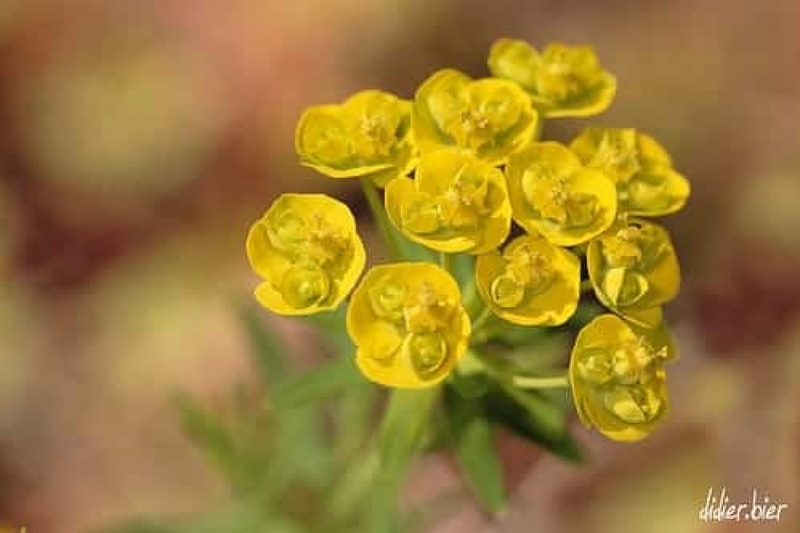 Euphorbia cyparissias - the cypress spurge - is a species native to dunes and grasslands in Europe, and introduced to North America, originally as an ornamental plant. It is a perennial growing to 40 cm (16 in) tall, with small and linear, 4 cm (1.6 in) long leaves and green-yellow petal-like bracts, maturing to purple or red from May to August. E. cyparissias is considered a noxious weed in many places, including Colorado in the United States. Plant your spurge in the sun or possibly semi shade in neutral limestone soil, even stony, from February to April and from September to November. Euphorbia prefer a soil not too rich but very drained. They are resistant to drought. Prepare the soil with some light digging (to decompact without necessarily turning it over with a pitchfork or broadfork), hoeing, and raking. Plant leaving 30 cm between the plants. Tamp the soil down well so that the roots are not in contact with air, then water generously. Multiplication of perennial euphorbia is done by dividing the tuft in March every 2-3 years.